Do you remember that whole thing about Freedom Fries as a replacement name for French Fries back in the day? I had always wondered if those same people started calling their French presses, Freedom presses. Maybe they just stopped using them altogether. Rest assured, the American press we're talking about today wasn't named as a sort of political swipe. 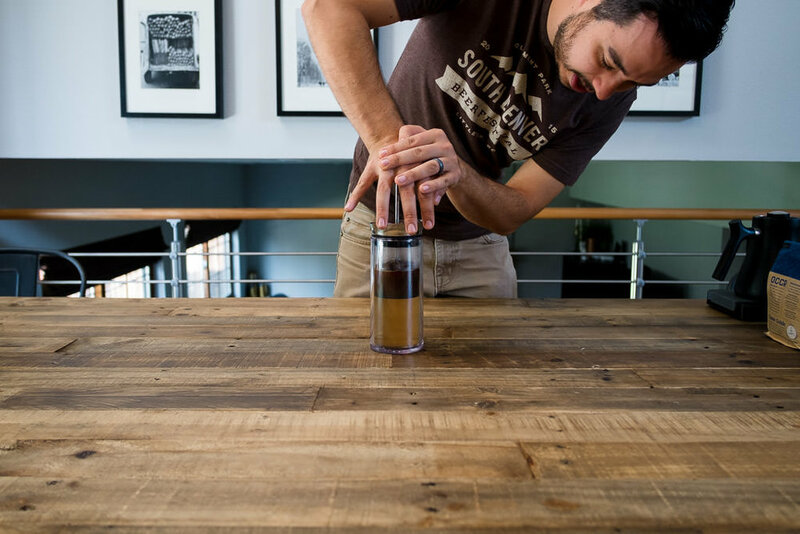 Born in Chicago and raised in Detroit, the American press aims to fix my problems with the French press by brewing a cleaner cup without the mess. I stumbled across the American Press mostly by accident thanks to the same problems the designers faced. I hate cleaning up the French press. 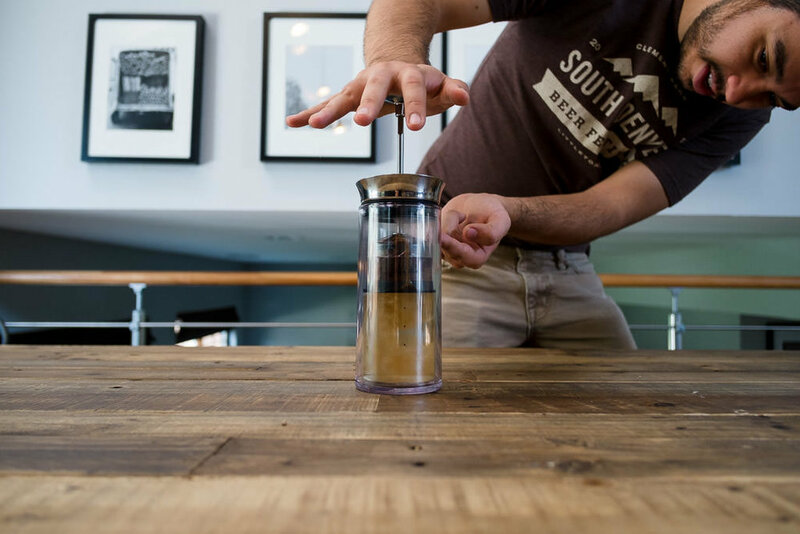 After unsuccessfully brainstorming ways to improve the design of a French press to make the clean up process easier, I thought, "I can't be the only one who has thought about this!" As it turns out, I was right and thankfully they were smarter than me too! Fast forward a couple of weeks, my brother-in-law and fellow coffee enthusiast, mentioned that he had picked one of these up and we should use it next time we stayed with them. My sister and brother-in-law have a beautifully lit and laid out kitchen area, so it seemed like the perfect opportunity for a new post. You can think of the American Press as a sort of mixture between the Aeropress and the French press. 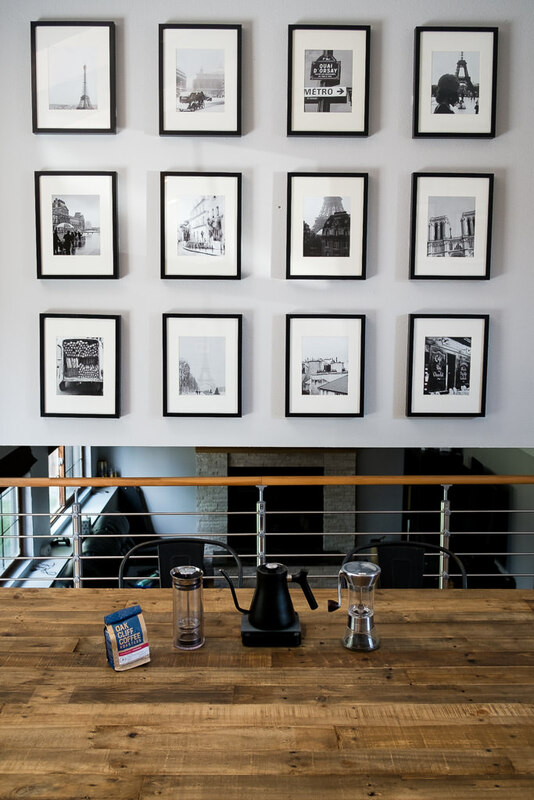 In both visual presentation and flavor profile, it resembles the French press. 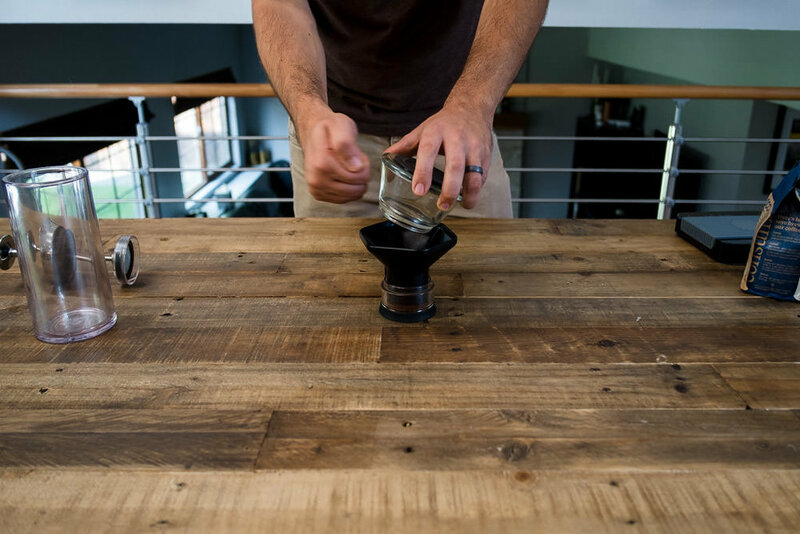 While it brews using pressure and presents a clean cup of coffee like the Aeropress. 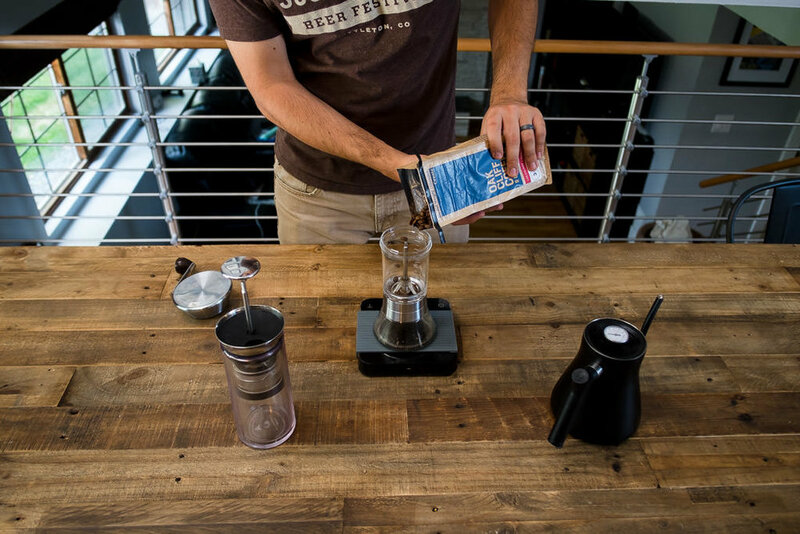 You get the self-contained convenience with the foolproof brewing of the Aeropress. This combination could position the American press as a great travel brewer option. 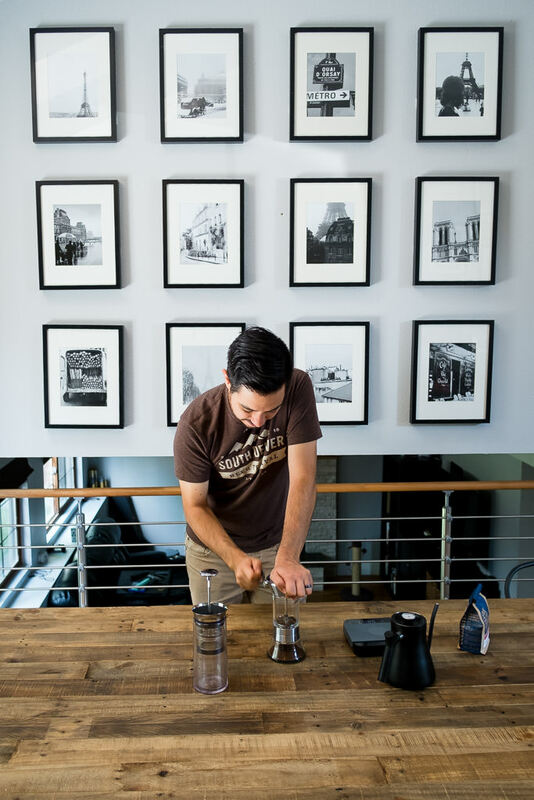 The only real downside to the American Press, like the Aeropress, is it's limiting capacity. 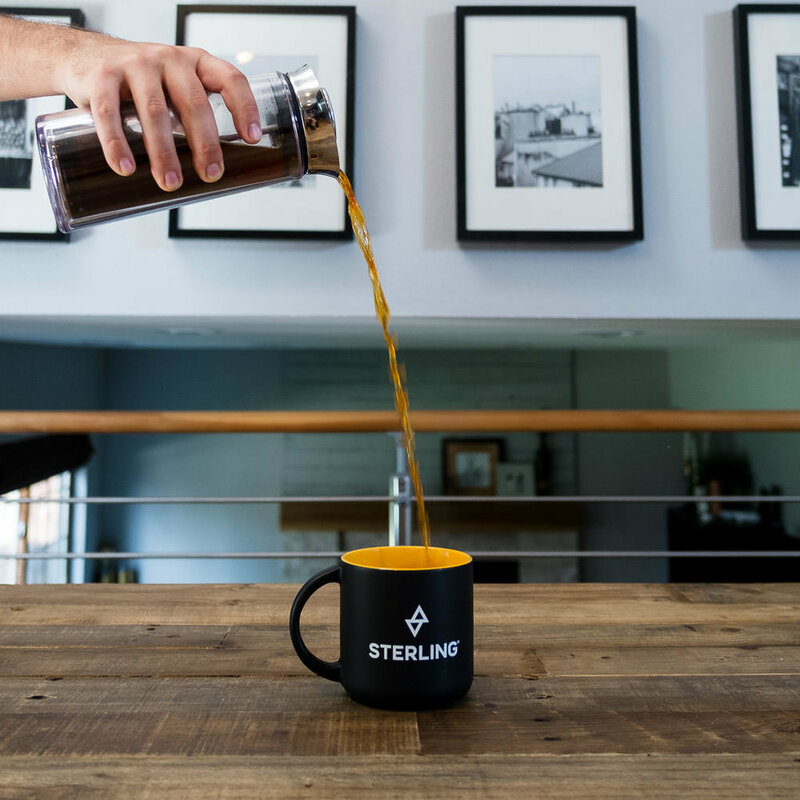 Maxing out at 12oz, it makes for a great individual brewer, but would struggle to provide coffee for more than a couple people. 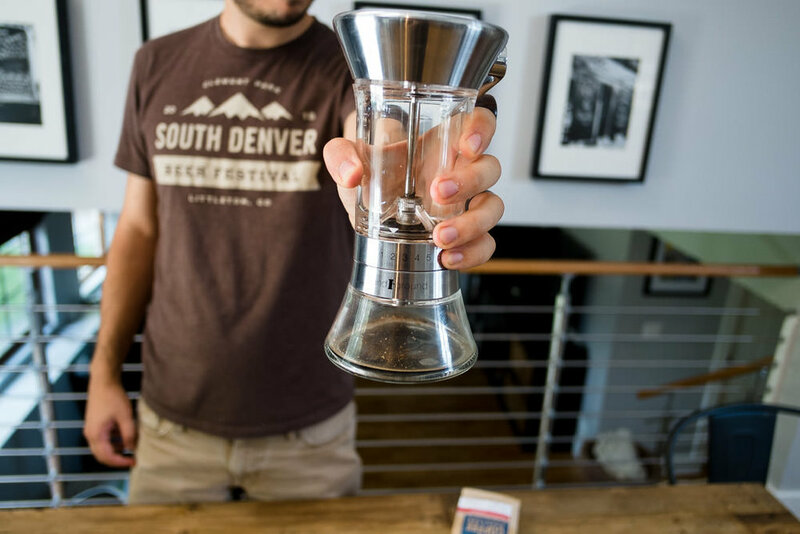 This limiting capacity has an upside however because it means you could pretty accurately brew your coffee without a scale, consistently. 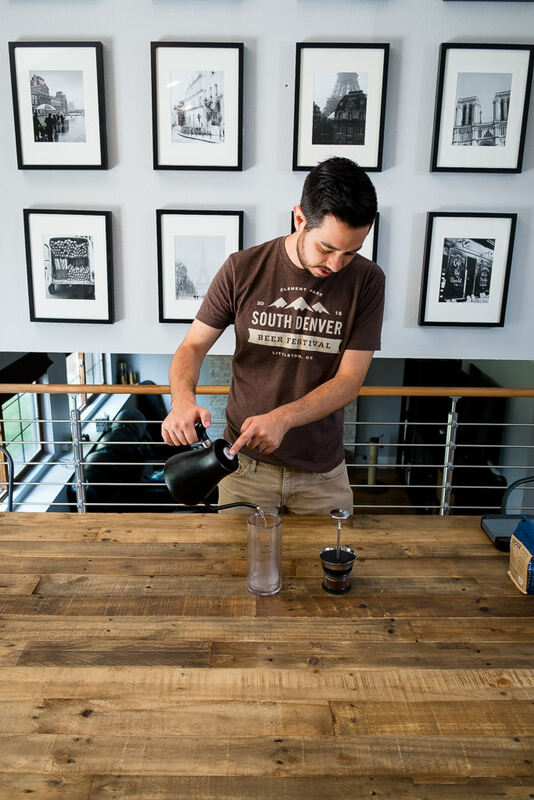 Simply fill the brew basket with coffee grounds and the carafe with water to the top line and have at it. I found myself really impressed with the American press. 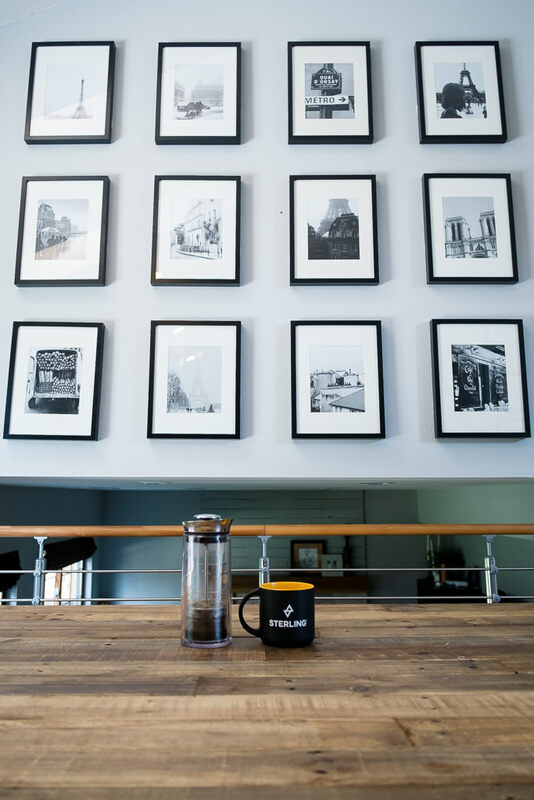 The resulting coffee had a rich body with complex flavors without the dense, gritty mouthfeel you get with a French press. 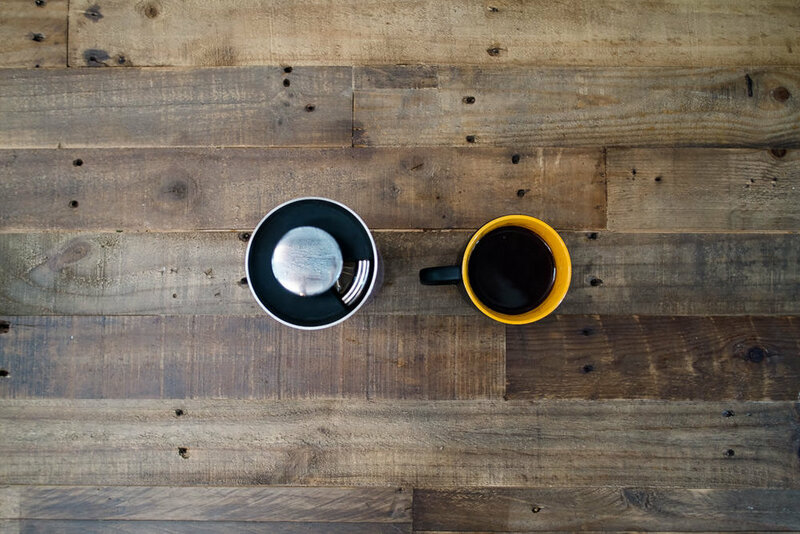 While clean up isn't as simple as the Aeropress or pour over, it certainly beats the French press. I highly recommend picking one of these up for yourself. If you do, let me know what you think! As always, feel free to leave any questions, comments, or ideas for future posts below or shoot them over to me in an email.